Mercedes-Benz maker is not ruling out the possibility of vaguely outlined “different types” of cooperation with Apple, which is rumored to be building an electric car of its own code- named Project Titan. “Many things are conceivable,” Daimler CEO Dieter Zetsche said in an interview with quarterly magazine Deutsche Unternehmerboerse published on Friday. 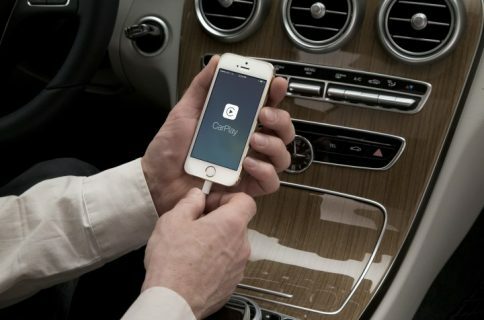 Daimler AG, a German multinational automotive corporation, owns a number of car brands such as the Mercedes-Benz and Smart Automobile, and was an important launch partner for Apple’s CarPlay in-car software. He wouldn’t cast more light on exact types of co-operation with Apple beyond hinting at a joint venture partnership that would allow the car maker to build cars and integrate software features provided by Apple. He did underscore that his comments were “purely theoretical” and told the media that the Daimler group would never become a dumb supplier for cars by the Silicon Valley giants such as Apple and Google. “We don’t want to become contractors who have no direct content with customers any more and supply hardware to third parties,” he said. For the sake of completeness, we should mention that former Mercedes-Benz R&D President and CEO Johann Jungwirth is Director of Mac Systems Engineering at Apple as of last September. Documents The Guardian newspaper uncovered obtained legally under a public records request have shown that Apple’s rumored electric car is further along than many suspected, with the company leasing a top-secret vehicle testing ground in Bay Area. Apple is “scouting for secure locations in the Bay Area” to test its secret electric car, the paper reported. The story is consonant with an already heavy narrative that Apple is working on an electric vehicle. 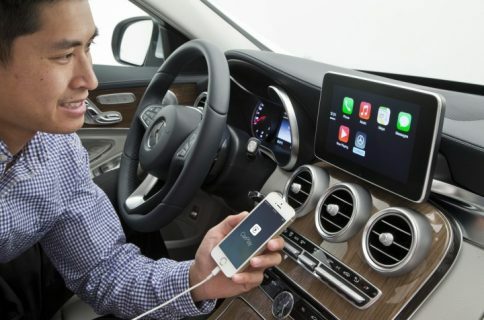 On the flip side, it’s also entirely conceivable that all this Apple Car talk is off the mark as Apple could be simply beefing up its CarPlay team and testing new software features.